Bandido bom é bandido morto — The only good criminal is a dead criminal. This is the disconcerting cliché used in Brazil to justify the nation’s staggering levels of police violence. According to data compiled by the Brazilian Forum for Public Safety, the country’s security forces killed 3,320 people in 2015 – an average of nine police fatalities a day. The saying may trace back to a famous saying by the US Union General Philip Sheridan during the American Civil War: “The only good Indians I ever saw were dead”. In 1990, it was the campaign slogan for a policeman who successfully ran for Rio’s state legislature. Public tolerance of police brutality against criminals (or those merely suspected of a crime) does, to a certain extent, demonstrate the vigilante logic that effectively sanctions not only institutional violence but also other self-styled violence like that undertaken by Brazil’s militias, death squads and lynch mobs. Still, the belief that criminals should be killed is surprising in a country that does not have the death penalty. And the Brazilian Forum poll only measured generic adherence to or rejection of the slogan without looking into how people’s opinions may vary when it applied to specific situations, nor what other opinions and attitudes are associated with. We wanted to dig deeper. So the Center for Studies on Public Safety and Citizenship (CESeC) at the University Cândido Mendes conducted our own survey in Rio de Janeiro. We interviewed a representative sample of 2,353 people, aged 16 or over, using a 43-question survey that sought to capture the socioeconomic profile of the interviewees and what they thought about police violence, lynching, criminal legislation, justice and human rights. The results are now out, and while the overarching numbers are worrisome, the details offer some basis for optimism. “Eye for an eye? What Cariocas think about ‘the only good criminal is a dead criminal'” found that just 37% of people declared total or partial support for the bandido morto slogan. That’s 20 percentage points lower than the prior nationwide survey. We also discovered that 62% of Cariocas, or Rio de Janeiro residents, believe that city police kill too much and 61% think that if officers have a choice, they must always arrest rather than kill. Only 5% of respondents actually believe that policemen should always kill criminals. Further, the vast majority of Cariocas (69% to 93%) think police should not shoot at criminals or suspects unless the officer is directly threatened. And, best yet, 70% do not believe that Brazil’s security problems will be solved by giving the police a license to kill. These results seem to echo the figures on police lethality in the city of Rio, where, in 2016, official data shows that 459 people were killed in alleged “confrontations” with the police. From January 2009 to June 2012, 449 people were also wounded by stray bullets. Clearly, locals are losing patience with trigger-happy cops. Another important finding of CESeC’s research is that among supporters of the saying, “the only good criminal is a dead criminal”, more people would actually prefer to reinstate the death penalty (38%) than to continue this national trend of extrajudicial executions perpetrated by police (31%). Most surprising for us was the outcome that daily churchgoers, mostly evangelical Christians, roundly reject the notion that “the only good criminal is a dead criminal”, with fully 73.4% saying they disagreed. Likewise, evangelicals were also the most likely to support the idea that a criminal can become a good citizen. Perhaps this doesn’t sound surprising to you. After all, mercy and forgiveness are traditional Christian values, as is the idea that God gives life and only he can take it away. But Brazil’s insurgent evangelicalism has been strongly associated with conservative policies, including being tough on crime. Rejecting extrajudicial violence does not mean churchgoers or others necessarily agree with the liberal rights agenda. Of the 40% of respondents who simultaneously rejected the “dead criminal” slogan, the death penalty and lynch mobs, 68% also agreed with the statement that “respecting human rights hinder the fight against crime”; 51% supported the idea that “those who defend human rights are only defending criminals”. We believe that this finding reflects not so much a rejection of human rights in Brazil as a problem with how human rights activists have communicated their work since the country’s return to democracy in 1985. Though some groups linked to the Catholic Church, such as the Justice and Peace Commissions, saw widespread social support for defending political prisoners during Brazil’s military dictatorship (1964-1985), they lost that following when they turned to the defense of common criminals. Over the last 30 years or so, with Brazil’s homicide rates on the rise, politicians (including the one who came up with the much-known bandit slogan) and TV anchors present themselves as spokespeople for a supposedly dominant national feeling that crime cannot be controlled if human rights are to be respected. This has engendered a wide national hostility toward and mistrust of human rights defenders, as surveys have shown. According to Justiça Global, a Rio-based NGO, 55 human rights activists were murdered in the country in 2016. CESeC’s research belies this claim, at least for the city of Rio de Janeiro. Our results show that the expression “human rights” elicits repulsion in many, and a rejection of those who defend them. But they also point to a considerable local repudiation of police violence. The results also highlight a certain inclination for the rule of law, even among those who defend killings. And it is quite clear that certain religious beliefs and practices restrain Brazil’s allegedly popular support for the barbarism of “an eye for an eye”. 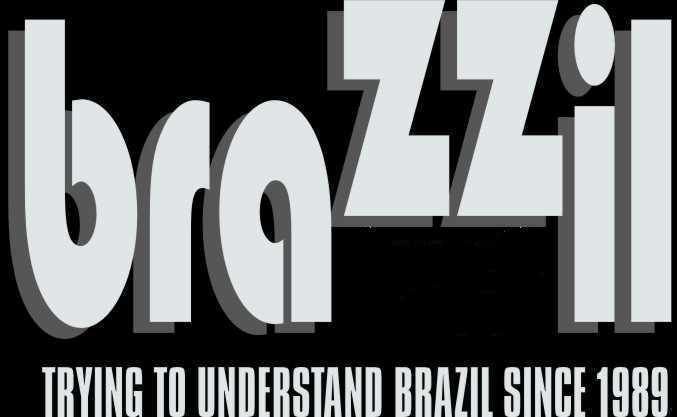 Such findings establish a starting point for policy interventions and public opinion campaigns that could discredit Brazil’s hate clichés and, in the long run, help bring human rights discourse closer to the perceptions and needs of the Brazilian people. Because, of course, human rights are everyone’s rights – criminal, suspect or otherwise. Julita Lemgruber is coordinator at the Center for Studies on Public Security and Citizenship (CESeC) at Universidade Candido Mendes. Lemgruber receives funding from the Open Society Foundations, Ford Foundation, and Portico. She is a board member of the International Drug Policy Consortium (IDPC). Leonarda Musumeci is a professor at the Federal University of Rio de Janeiro. She receives funding from the Open Society and the Porticus foundations.